PUNE: Pune stands in the first position in the state, with the highest number of Right to Education (RTE) selections in the first round. 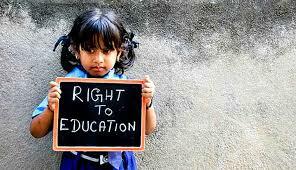 The state education department announced the first phase of RTE on April 8, with the admission process currently on. A total of 3,362 admissions in the state have been completed in last five days, of which 1,332 were done in Pune district. It is the first time since RTE started in 2012 that Pune district has got the highest number of RTE selections, in the first lottery. With this, Pune stands in first position this year, while Sindhudurg district stands last, with the lowest number of selections at 94 and only one admission secured. “The parents can either check their name on the official RTE website, or wait for the message to come. Once the verification is done, they are given the certificate from the committee, which is required to be submitted to the school in order to confirm the seat. The last date for availing the first lottery admission is April 26, after which the second lottery will be declared,” Sunil Kurhade, education officer, Pune zilla parishad. This year the total number of RTE seats in the state have gone down by 9,340. Last year the number of RTE seats stood at 1,26,119; while this year the figure stands at 1,16,779. A total of 2,44,932 online registration applications were received this year for 1,16,779 vacancies from 9,195 schools.